As we head into the new year and the Spring Selling Season, economist take a look at what is needed for a full housing recovery. Home sales that are in the range of historical norms. So, is the housing market inching closer to a full housing recovery? Freddie Mac’s U.S. Economic and Housing Market Outlook for January takes a look at how the housing market is performing among these four indicators. Economists note that the unemployment rate – while inching down – still remains high at 6.7 percent. Meanwhile, mortgage delinquencies have fallen to 5.88 percent – nearly half of their peak rate but still higher than the national average of about 2 percent, Freddie notes. Home prices still have some room to grow without outpacing income growth, economists say. Finally, home sales have risen over the past two years but remain below levels from a nearly a decade ago. Home sales, historically, average a rate of about 6 percent of the housing stock every year. They dropped to 4 percent during the housing crisis. Economists are predicting a 5.7 percent pace in 2014. In Freddie Mac’s results of its Primary Mortgage Market Survey, average fixed mortgage rates fell again this week following the release of weaker housing data. 5-year Treasury-indexed hybrid adjustable-rate mortgage (ARM) averaged 3.12 percent this week with an average 0.5 point, down from last week when it averaged 3.15 percent. A year ago, the 5-year ARM averaged 2.70 percent. and find a home that fits your values and lifestyle. Give me a call today:480 688-2000. 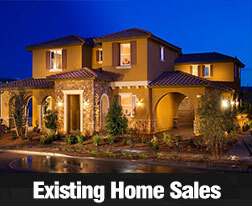 Existing home sales in December pushed 2013 sales of existing homes to a 7 year high, according to the NAR. December’s reading of 4.86 sales of pre-owned homes came in at 4.87 million on a seasonally adjusted annual basis. As your agent, Debra Obrock will make sure your home is ready to sell fast and t top dollar. In Freddie Mac’s results of its Primary Mortgage Market Survey, average fixed mortgage rates showed little change as we head into the final days of the year. 30-year fixed-rate mortgage (FRM) averaged 4.48 percent with an average 0.7 point for the week ending December 26, 2013, up from last week when it averaged 4.47 percent. A year ago at this time, the 30-year FRM averaged 3.35 percent. 15-year FRM this week averaged 3.52 percent with an average 0.7 point, up from last week when it averaged 3.51 percent. A year ago at this time, the 15-year FRM averaged 2.65 percent. 5-year Treasury-indexed hybrid adjustable-rate mortgage (ARM) averaged 3.00 percent this week with an average 0.4 point, up from last week when it averaged 2.96 percent. A year ago, the 5-year ARM averaged 2.70 percent. The move-up buyer is back on the market as home equity levels improve. More move-up buyers are selling their current properties to replace them with pricier homes, according to the latest report from FNC, a real estate data firm. The move-up buyers are coming with larger down payments on new homes as recent improvements in home equity levels have allowed them to move. What is Bringing Move-Up Buyers Back? Rising mortgage rates are driving the higher demand because move-up buyers are wanting to take advantage before mortgage rates rise any more, brokers say. Plus, more move-up buyers are in a better position to move. Forty percent of all home owners now have at least 20 percent or more of equity in their homes now, according to RealtyTrac data. Also, 8.3 million additional home owners are expected to have at least 20 percent equity within the next 15 months if home prices continue to appreciate at the same pace, says Daren Blomquist, vice president of RealtyTrac. Blomquist adds that if 5 percent of these home owners decide to sell their homes, that would amount to an additional 415,000 homes for sale in the coming months. Pre-listing inspections have the power to send all parties back to the negotiation table. As such, some sellers are taking the precautionary step of having an inspection done before listing the home for sale. Some real estate professionals say that having a home inspection prior to listing can offer several benefits to the seller. The Housing Recovery is progressing even if the pending sales of existing homes fell by 1.30 percent in July according to The National Association of REALTORS. According to the organization’s Pending Home Sales Index, this was the second straight month that pending home sales dropped. July’s Pending Home Sales Index reading was 109.50. The housing recovery has led the economic recovery; faltering indicators in the housing sector suggest that the overall recovery is a fragile process.